The plight of Bangladesh’s garment workers was thrust into the spotlight following the collapse in April 2013 of an eight-story factory building, the Rana Plaza, which caused the deaths of more than 1100 garment workers. Since then, some private sector coalitions and governments have investigated what can be done to prevent the repetition of such events. While the solution seems straightforward – ensure working standards like proper fire and building safety rules are in place and implemented – things are not as simple as they appear. Recent efforts to remedy the situation have focused on ensuring labour rights, either through government actions or industry accords. Minimum wage in Bangladesh has been raised to $69 per month from $39 without overtime. The Labour Law was amended to include mandatory provision of health care and insurance. The government, international garment buyers and local producers have signed a fire and building safety accord. Canada is supportive of these activities and has announced an initiative to provide technical support to Bangladesh’s National Tripartite Plan of Action on Fire and Building Safety. All this is very encouraging, yet whether these efforts will take root will depend on how they affect the profitability of the industry and how the government will enforce them. Profits are important. Labour surplus economies like Bangladesh need to create and maintain jobs in order to grow and reduce poverty. This needs strong, growing and profitable industries capable of competing in global markets. So, how will profitability be affected? A garment factory owner recently explained in a Bangladeshi newspaper, The Star, that paying higher minimum wages and putting in safety improvements will mean incurring a loss unless the factory was making significant profits prior to the implementation of these laws and standards. Foreign buyers may not be seriously affected, since their major concern is purchasing the product at the lowest cost possible, and they will go elsewhere if Bangladesh cannot provide this. The good news is that there is some room for movement here. Even at the increased minimum wage of $69, Bangladesh will likely remain the lowest wage garment producer among comparable supplier countries. And, given that labour costs are normally the biggest element of production costs, it should also be the lowest cost producer. This means that Bangladeshi producers will likely be able to afford the cost increases required to pay the increased minimum wages and for safety standards and remain competitive producers, but with reduced profit margins. There will be a limit to this competitiveness as defined by the cost conditions in the other producer countries. The interesting question will be whether foreign buyers will share in bearing the increased costs or whether they will make the producers bear all the costs. Eventually, though, the Bangladeshi producers will have to increase their productivity and become more efficient, or risk losing their market. Enforcing regulations may be challenging as the government’s incentive to enforce the rules and regulations will depend on how the cost increases will affect Bangladesh’s global garments market share and in turn its export revenue. The garment industry, worth roughly $20 billion, is Bangladesh’s largest export sector employing about 4 million people in about 5000 factories. Some estimates suggest that exports may triple in the next decade riding mainly on their cost competitiveness. Continued success and growth in this sector will be critical for Bangladesh’s economic development. To the extent that Bangladesh garment exports can remain competitive, there will be an incentive to implement the rights and safety regulations. The incentives will be weaker if this is not the case. This will in turn depend on whether foreign buyers turn away from Bangladesh and source garments from other countries in search of greater profits. Countries like Canada who are concerned about ensuring workers’ rights and safety in the garment industry should not adopt draconian approaches such as prohibiting or limiting imports of goods. This will hurt workers rather than improve their working conditions. Instead, we should try to find ways to build Bangladesh’s capacity to improve working conditions, by helping it to frame rules and regulations and building capacity to monitor progress. In concert with like-minded countries, Canada can encourage Bangladesh to adopt ILO core labour standards. Canadian companies can join the fire and building safety accord, help establish common standards for factory safety, share the costs of implementing the rules, and provide mentorship on how to become more competitive. 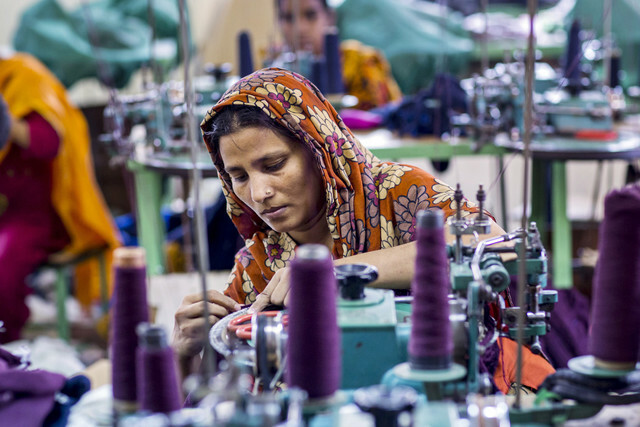 There are no “easy fixes” but a coordinated, sustained effort to help improve Bangladeshi laws and international labour standards (and their enforcement) will go a long way towards preventing another Rana Plaza tragedy. Dr. Syed Sajjadur Rahman has over 25 years of experience in international development, having occupied a number of senior executive positions at the Canadian International Development Agency. He has taught and is now teaching graduate-level courses at both Carleton University and the University of Ottawa. Specialized in economics and international development, Dr. Rahman has in-depth knowledge of strategic planning and policy, evaluation as well as the structure and administration of bilateral and multilateral development organizations. Currently, Dr. Rahman is a Senior Fellow at the School of International Development and Global Studies, University of Ottawa, and a Senior Associate at the Universalia Management Group. You may contact Dr. Rahman at ssajjadrahman@gmail.com. Tags: advocacy, corporate social responsibility, gender, regulations, rights. Bookmark the permalink.